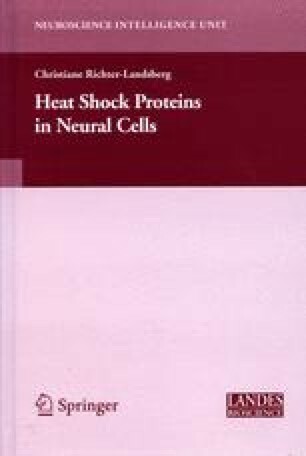 In this review, we have addressed the possible contribution of heat shock proteins (HSP) to the pathogenesis of multiple sclerosis (MS), a chronic inflammatory demyelinating disease of the central nervous system (CNS). A particular focus of the review is on the families of HSP27, HSP60 and HSP70 because there is good evidence for both RNA and protein that expression levels of these HSP are altered in lesioned areas of the CNS. Using a variety of different approaches, the data support a role for these HSP in the generation of the immune response, particularly in the more chronic phases of the disease process. In addition, we review evidence supporting a protective role for these HSP in the injured CNS. This dual role of HSP makes an analysis of their effects in degenerative CNS diseases difficult to determine with certainty. Nevertheless, ongoing data are persuasive that this remains an important area of research that is likely to continue to contribute to our understanding of disease pathogenesis in MS.